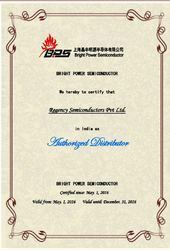 Established in the year 1998, we, “Regency Semiconductors Pvt. Ltd.”, are counted amongst the eminent suppliers, wholesalers, distributors, traders and importers of a wide range of Electronic Products. Our product range includes Electronic Components, Integrated Circuits and Electronic Transistors. 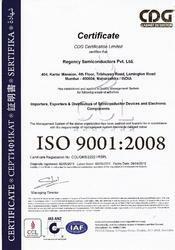 All our products are in compliance with international quality standards. These products are procured from trusted vendors of the market, who ensure 100% quality. Our products are highly demanded by our clients due to its varied features such as high performance, durability and long service life. Supported by dexterous team of professionals, we have been able to gain recognition in the market. They work in close collaboration with each other to maintain the highest quality standards of our products. The quality of our products are thoroughly tested by our experienced quality analysts on various parameters before supplying it to the customers. Moreover, our vendors use A-grade raw material to manufacture our products. Owing to all these factors, we have been able to gather huge clients across Indian Subcontinent. We import our products from across the globe. Furthermore, we have a capacious warehouse which enables us to store bulk stocks of products and cater to large demands of clients spontaneously. It is properly managed by experts, and equipped with all the requisite tools & equipments for protection against fire or theft. We also ensure proper packaging of the electrical products as it is an important aspect in ensuring their safe delivery. Under the authority of our mentor Mr. Sanjay Mehta, we have figured out how to achieve a few statures of accomplishment, in the previous years, owing to his capacity to comprehend the business sector, break down the progressions and settle on excellent managerial choices. 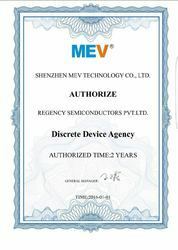 Our products are tested for quality at the procurement stage. We source these electrical products from trusted vendors of the industry, who manufacture these products using superior quality raw material. Our quality auditors check these products for various parameters at the vendors end to ensure the products procured are in compliance with the international standards. We procure electrical products which are of reputed brands of the industry. Our regular quality testings have helped us deliver a wide range of premium quality products to our clients at all times. Over the years, we have developed a large warehousing unit to store large quantities of products. Our warehousing unit is fully equipped with all the modern amenities to protect our products from all sorts of weather conditions. The procured products are stored in a systematic and organized manner to ensure easy and instant retrieval of products at the time of delivery. Our warehousing unit is controlled and managed by a team of personnel who ensure that the unit is well maintained and properly kept. We also package our range of products using good quality packaging material to ensure that the products reach our clients safely at the time of delivery. We have recruited an experienced and knowledgeable team of professionals, which works in close consort with the clients to offer them the best quality products at all times. Our efficient quality auditors check the procured products at all stages and make sure that the products are checked for various parameters. We arrange regular training sessions for all our professionals to make sure that they are in tandem with the current market trends. Being a trader and exporter, we play a vital role between our vendors and our clients spread across the Indian Subcontinent. We understand the significance of meeting clients’ requirements and timely delivery, as a result of which we always make sure that we complete our commitment honestly. Before signing any contract with the vendors we make sure that they have all the facilities to develop the desired products or equipment with innovative technology. We also make sure that we get the prompt delivery of the ordered consignments. Every vendor we are associated with, is an authorized manufacturer of electrical products and has a large production capacity, which makes it possible for us to source large consignments without any hassle. Our prime focus is to serve our clients with optimum quality products within the given time-frame. We provide customization of products on the basis of their requirements. Our products are effectively priced and are highly appreciated for their quality. Our organization invites large orders which are delivered to the clients within the stipulated time-frame. Our team of professionals work in close consort with the clients to obtain their maximum satisfaction. Our products are procured keeping the important parameters in mind. These products are widely used by our clients all across the Indian Subcontinent. We believe in providing premium quality products to our clients all across the Indian Subcontinent. Our range of products are sourced from trusted vendors of the market and are highly reckoned for their remarkable features. Provide a leader in high-performance memories and programmable timing devices; this indicates higher levels of customer satisfaction. We help customers develop their energy resources bringing world class capability and delivering it locally. We promote commercial arrangements that are aligned to our customers’ needs, allowing us to deliver more value to the customer while increasing the returns from our most precious asset – our people.